Category Archives for "“Get Rich Quick”"
7 Minutes Daily Profits it is said to be “free money making software” created by a guy named Vince Howard. But… Is it really? Or is this just going to turn out to be a scam? Will it turn out to just be a waste of your time and money? He claims that it has helped over 1500 people generate “at least $500 every day online”, but of course you cannot always trust what you hear or read online. I have exposed many online scams in the past and when something sounds too good to be true, it usually is. I’m guessing you probably received some email about some awesome new money making system, which then led you to the video presentation for 7 Minutes Daily Profits. You probably thought it sounded a little bit too good to be true, and decided to do some extra research, which then led you to my review here. And it’s a good thing you made it here because this system is NOT what you are told it is. As soon as I came across the video presentation I was pretty sure that this was going to be another scam, but you can’t always judge a book by its cover so I decided to dig a little deeper. Whenever I here about a system/program where you can make a significant amount of money with very little work, and it costs next to nothing to buy into, I am always extremely suspicious. This reminded me of some other recent scams I’ve exposed on my site here, like Bulletproof Profits and Secret Millionaire Bot for example. He claims to have made over $700 in just the first 6 hours of using the system and over $1000 the next day. All of this with only 7 minutes a day of work. But… These testimonials sound way too good to be true and they are. They are completely fake. These people are ACTORS. You can take a look below at the screenshot I took from the one guy’s profile on Fiverr, which is a freelance marketplace where you can pay people to make fake testimonials like this. It is obviously a major red flag and a sign of a scam that these testimonials are fake, however, this doesn’t completely prove that this whole system is a scam yet. So I decided to keep digging around. Sure enough the rest of the video presentation was just a bunch of fluff without much real substance. The system is really hyped up and you are told all about how it is going to be making you tons of money and how it is “something you have never seen before”, but there really isn’t much detail given on how the system actually works. The fact that you have to buy into the system before finding out how it works is a major red flag. This is how just about every scam out there works. Of course you are not going to buy into it if you knew what was inside, so they don’t tell you and leave you wanting more, so that you have to buy in. And besides that there are plenty of other red flags. Another that is worth mentioning is this “Vince Howard” guy, who supposedly created this system. 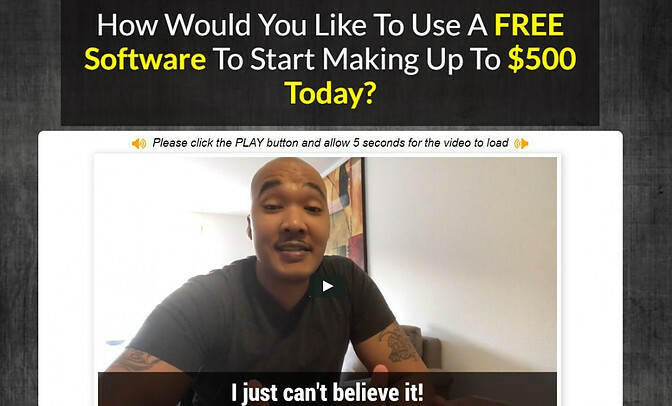 He claims he used to be a truck driver living with his wife and daughter in a one bedroom apartment, who then lost over $10,000 on some scam coaching program, then of course came across this amazing software from a coworker of his. BUT… Everything he tells you about himself as a lie. 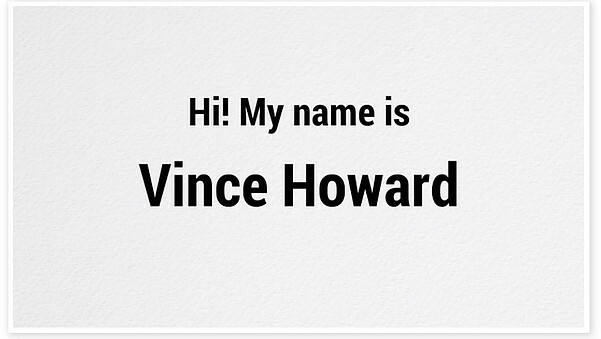 In fact, I’m willing to bet that this “Vince Howard” fella doesn’t even exist. It is probably a made up name. He mentions that he has been featured in magazines like Huffington Post and Forbes, but this is completely untrue. I actually went to the Forbes website and searched around for him but could not find anything. The most relevant results I found for Vince Howard was for Vince Carter, the basketball player… Funny. What Happens When You Buy Into This? First off, this is not “free” as you are told. It costs $9 get started with and this is supposedly a “server fee”. After the initial purchase you will then be pushed into buying upsells that cost over $230. How do I know they cost over $230? Well, because I knew that affiliates promoting this program can earn up to $230 in commissions, which means that it must cost much more than that. But anyways… If you buy into this you will likely get some generic training for making money online that will probably leave you even worse off than if you were to not buy it at all. The reason I say this is because it will likely lead you down the wrong path and waste a bunch of your time, giving you no real ability to actually make money. This is definitely not the autopilot, “done for you”, super easy system that you are led to believe it is. I would like to call this a scam, but unfortunately have to be careful with statements such as this, for legal reasons of course. They do provide a bit of training so I guess it is not a complete scam, although the video presentation is incredibly misleading and if you buy into it you are not getting anything like what you would probably expect. I will absolutely not be recommending any of my readers to buy into this. If you are looking for a legitimate way to make money online then I would highly suggest taking a look at how I make a living working online for myself. This is something that I actually know works from personal experience. Bulletproof Profits Review – A Horrible Purchase! Bulletproof Profits is very different from what you are told and you certainly will NOT “make up to $3,750 today with just 7 simple clicks”. Is this just another scam? Yeah, pretty much it is, which I’m sure you were already suspicious of. Yep…. Sounds like a pretty typical online scam… kind of like the Spring Profits scam I exposed recently. You are told that this system supposedly taps into some “secret online Goldmine” that is worth $685 billion and that you can easily make over $2000 a day with. But of course it is incredibly easy to fake income screenshots like this, so there is absolutely no way of knowing if this is real or not… And I’m guessing is more than likely fake. It’s really hard to trust a system that has so many obvious lies surrounding it. For example, you are told that the video presentation will be taken down at midnight, but this is easily proven to be a lie. This is something you can easily see for yourself as well. Just leave the page and come back the next day if you want to. It will still be there. As mentioned, this “system” was created by a guy named “Justin Tyler”. HOWEVER, there’s a good chance this name is completely made up and fictitious. There is no proof offered that he actually exists and no verifiable information given. I have reviewed countless scams over the years that have been promoted under fake names. Of course the real people behind scams don’t want you to know their names, because then you might show about their house and demand your money back or something like that. In a nutshell this Bulletproof Profits “system” isn’t really a system at all. While you can possibly make money with what it provides you with, it is nowhere near the amazing money making opportunity that they lead you to believe it is and is certainly not anything I’m going to be recommending to my readers. How The System Makes You Money.. Unfortunately in the video presentation you are not told any specific way that this system will be making you money. We know that it somehow profits from Amazon, but don’t know exactly how it does this., which is typical of a scam. Of course you have to buy into it before you actually know what you are getting into. Are You Selling Products on Amazon? Is the “system” going to be making money via Amazon FBA somehow? ?, which is when you have products that you store in Amazon’s warehouses and they take care of the fulfillment for you. Are You Just Promoting Things? Are you just going to be promoting products on Amazon through the Amazon Associates program? This would be affiliate marketing and you would earn commissions when you help make sales. It doesn’t really matter which way this “system” is supposedly going to make you money. One thing is for sure, it WILL take work. This isn’t just going to “siphon” profits like the video leads you to believe. AND… You certainly will not be making any money today. It doesn’t matter how you try to make money with Amazon, there is no way to make thousands of dollars within a day’s time, everything takes work to get set up and that takes time. *More on how this makes money below. So when I went to purchase this product it was being sold at a 95% discount, or at least that’s what they said. Who knows if this is actually a discount or if they are just saying this to make it sound more enticing. You are led to believe that you are going to be getting some “system” which sounds like you can just plug into it and start making a bunch of money. This is far from being the truth. Instead, when you buy in you get, as I was expecting, a bunch of really crappy training. It seems that this “training course” goes over several different ways to make money with Amazon, and features a bunch of outdated and re-hashed videos/PDFs. It is far from being the “system” that you are led to believe it is. Pretty much everything about this place is a lie. The income claims are probably a lie, you definitely aren’t going to make thousands of dollars on the first day like you are told, Justin Tyler is probably a made up name, and so on. Even the “social proof” that was below the video presentation is a lie. Obviously my final bit of advice is going to be to avoid this place. And if you did buy into it I would try to get your money back as soon as possible. Luckily this is being sold through ClickBank, which does have a 60 day moneyback return policy, which is the only good thing about this. It is possible that you could potentially make some money with this “system”, but it would be an absolutely horrible path to take and you more than likely wouldn’t, which you are probably well aware of by now. You can definitely make money with Amazon, but this course is not a good choice to train you on how to do that. You can take a look at the program I use to make a living online for something that I actually recommend and that I know works. Is it true that you can make $500 today with Kids Paid Money? Is this actually a legitimate way to make money online or is this just another scam? They claim that you can get paid to take surveys, watch videos and invite friends, however it is probably not how you think. I joined this place recently just to investigate whether or not it was a scam and you will see why in this review I definitely do NOT recommend anyone join. They make it seem like it is super easy to make tons of easy money, just by going around sharing your referral link on social media, but as I said… IT IS NOT LIKE IT SEEMS. What Is Kids Paid Money? When I first landed on the website sounded like a pretty typical paid survey type of site, like Swagbucks for example, yet I was suspicious because they claim you can make $500/day. I am very familiar with paid survey sites and I know that making anywhere even close to $500 in a single day is out of the question. Paid survey sites often pay between $0.25 and $2 per survey, and what you factor in all the time being wasted getting disqualified from surveys and such, you end up making less than minimum wage. So right off the bat I was thinking that this sounds a bit like a scam, or I guess I should say A LOT like a scam. I mean $500 is a heck of a lot of money to make in a single day. So now, at this point my investigation, I’m thinking that this might just be some type of referral scheme, which it basically is as you will see. In a nutshell this opportunity is not legitimate. It is a misleading recruitment scheme where they scam people and make money off of them. So on the Kids Paid Money website I clicked on the “sign up” button in the top menu as you can see below, but what happened next was unexpected. 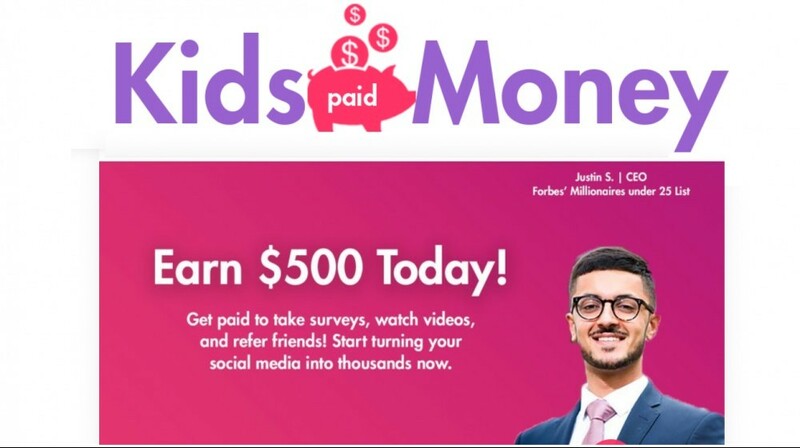 So I was expecting to go to some sign up page for Kids Paid Money, but instead I was directed to a different website called Kids Earn Cash, which pretty much looks like the exact same opportunity except for the name is different. This got me wondering… Why would they change their name? I have come across quite a few scams in the past and one thing I know is that scams often change their names because, once they are labeled scams, it is a hard label to get rid of. So they just change their names and rebrand themselves as some new opportunity, when really they are just some re-hashed old scam. But I wasn’t exactly sure whether or not it was such, it just made me more suspicious. So above you can see the inside of the members area, a.k.a. the dashboard. There really isn’t much to it. As you can see the first thing that pops up in front of you is your referral link and some statistics about your earnings, clicks, referrals, etc. Below that there is a menu and I did see an option to take “$30 surveys”. And again, this is something I was very suspicious of. As I just mentioned above, most paid survey sites only pay between $0.25 to $2 per survey. Getting paid $30 and one survey, that is a heck of a lot. Most of these opportunities are to earn gift cards. I decided to try to get the $100 McDonald’s gift card and see what happeneds. At first they made it seem really easy. It seemed like I was just going to have to take one survey and I would end up with this $100 McDonald’s gift card, which I should’ve known was a lie because it seemed way too good to be true. So anyways… It seemed like some endless loop where I just kept getting pushed into taking more surveys and completing more offers. It didn’t seem like I would ever get to the point where I would actually be able to claim a $100 gift card… So I gave up. Ca you actually earn these high-priced gift cards? Who knows… But I have a good idea it is probably darn near impossible. Overall this website is very scammy. They lead you to believe that you are going to be able to make super easy money, up to $500 in the first day, but this is far from being true. Instead you just run around in circles chasing your tail trying to claim gift cards that never come. And during this whole process you end up being forced to share a bunch of personal information which is going to ultimately of end up with you getting tons of spam emails in your inbox among other things. But of course the “main” way to make money is by sharing your link and referring others to join. Can you actually make money by sharing your link like this? This is another question that I did not have a concrete answer for. HOWEVER, I certainly do not trust this place and if you were to refer people I don’t know if you would actually be able to get paid. I have come across many other opportunities like this that scam people and do not pay members as they should. Another problem is that… Even if they do pay… How are you going to make money? They make it seem so simple to share your link on social media, but the reality is that it will be much more difficult than it seems. And they provide absolutely no training whatsoever. I have been involved in online marketing since 2015 and I can almost guarantee you that you will make little to no money sharing a link for an opportunity like this on social media. Most people don’t have massive social media followings and this means they don’t have much potential to begin with. And without proper training on how to market something like this it just isn’t going to work out well. $500 in a Day? Not a Chance! If you do end up signing up for this place then you have pretty much been scamed. You are suckered into thinking that you can make $500 in a single day from this opportunity when I don’t think there has been anyone to ever do this. So don’t go out and scam other people. Don’t promote this crappy opportunity just to try to make money… Which they might not even pay you in the end anyhow. The bottom line is that this place is NOT legitimate and that it is NOT a good way to make money. Why Not Earn Money a Legitimate Way? What I would suggest is what is called affiliate marketing. Affiliate marketing is great for beginners and is actually how I got my start online in 2015. It is when you promote products online and earn commissions when you help make sales. You promote products via affiliate links, which are basically referral links, but the difference between legitimate affiliate marketing and this Kids Paid Money scam is that with legitimate affiliate marketing you promote legitimate products. If interested I would highly recommend reading my guide on how I make over $6,000 a month online doing this and the best way to get started. Can you really make money with the Spring Profits system? Or is this just another scam? Daniel Green, the guy who supposedly created this system, claims that “I made $3,912,383.11 selling t-shirts from the comfort of my own home”. Over $3 million?? That is a heck of a lot. And if it is true that is pretty incredible. After all, it’s not like I haven’t come across similar looking systems that have turned out to be scams many times in the past. Right off the bat I was suspicious of this place. It just sounds a little bit too good to be true. And you know what they say about things that sound too good to be true… They probably aren’t true. In the video presentation one of the first things you are told is that “your link has been activated”. But what link? What are they talking about? This might get you excited but I have heard similar sorts of claims many times before, from programs that were scams and that I exposed, such as Copy My Cash Code and Money Sucking Websites. Usually they will say something like “we are setting up your account now”, “we are activating your money making system”, or something along those lines. They also tell you that you are “one of just a few lucky individuals who will ever hear this message”. However, I know for fact that this is a big fat lie. There are tons of other people who have been hearing this message because there are tons of people promoting this system like crazy. You probably ended up coming across the system after getting some email about some new awesome way to make money online. And believe me, there are thousands of other people who have gotten that same email. There certainly are NOT just “a few” people to hear this message. You are also told that “average Joes have been making in excess of $25,00 every single week”. And of course it only requires 10 minutes of work per day. Now if that doesn’t sound too good to be true then I don’t know what does. I’ve learned a thing or 2 over the years and one thing I have learned is that when something sounds too good to be true, especially when it comes to “make money online” programs, it is probably a scam. You also probably noticed that the guy offered absolutely no proof of this being true. Remember the videos that were shown in the presentation… The ones from people claiming to have been using the system and making tons of money with it? Red Flag #5 – “Daniel Green”… Who Is This Guy? Another major red flag is that we have no idea who this Daniel Green guy even is. He brags about how much money he is making with this system, but of course he offers absolutely no proof of any of it being true. This information could easily be made up, and I’m guessing that it probably is. And why does he never show his face? Why doesn’t he provide any verifiable information? If this really is the amazing system that he claims it is, you would think you’d be more than happy to stand behind it and show himself. The fact that the creator remains hidden for the most part, other than the fact that he says his name is “Daniel Green”, is a major red flag and a common characteristic of a scam. So there are a lot of red flags, and this definitely seems really scammy, but does it have any value? What exactly is Spring Profits and can you make any money at all? The truth is that this place is not a complete scam, and yes it is possible to make some money, although I definitely do not recommend it. 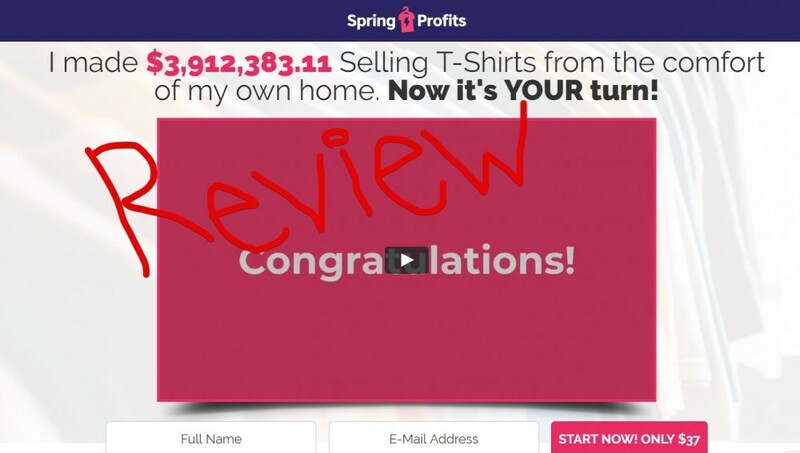 In a nutshell, Spring Profits is a training course that teaches people how to make money selling T-shirts online through a website called Teespring. Teespring is a website where people can design their own merchandise, such as t-shirts, phone cases, mugs, etc. and sell them online. This is an easy way to go about it because you don’t actually need to get involved in the manufacturing process, you just make your design and they handle the rest. From what I understand, this place doesn’t require any upfront payment and they manufacture your designed products as you sell. This is a completely legitimate way to make money online and, although “Daniel Green” may be completely fake name and he may have not made any money doing this, I do know for a fact that there are people making some good money selling T-shirts this way. That said, it is a heck of a lot more difficult than this guy makes it seem. 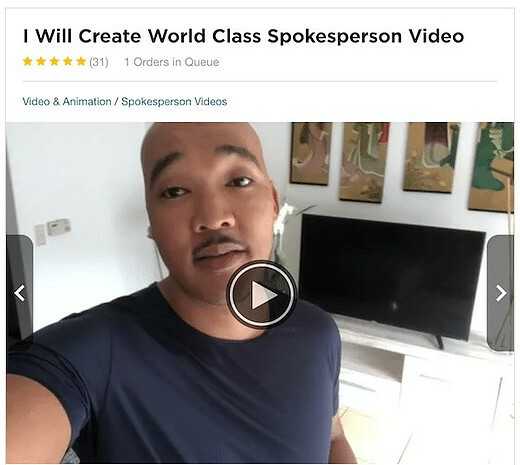 In the video presentation the guy makes it seem like this is the greatest opportunity to ever bless this earth, and he makes it sound super easy, but it is not. Can you really only spend 10 minutes a day in the make millions doing this? Well I guess it might be possible, but I sure as heck would not count on it. That would be like counting on winning the lottery jackpot, chances are incredibly low. You have to have the right design and market it to the right audience…. which is easier said than done. You also should know that this WILL cost money…. Upfront. He only tells you all the things that you want to hear, and of course no one wants to hear about the money they’re going to have to spend, so he just doesn’t tell you this part. When it comes to selling T-shirts there is a lot of competition. You are not going to be the only one and this makes it a lot more difficult. In order to make sales you will have to drive traffic to your products, and paying for advertising is not easy nor is a cheap. Sure, if you get everything right it can potentially be very profitable, but you can also blow your money like crazy doing this. Well… The front end product is only $37 so I wouldn’t expect to get much. This seems to me like another very over-hyped product that probably is going to be a disappointment. That is usually how it goes for products that are promoted like they are the greatest things ever… They turn out to be massively disappointing. I don’t know how good the training actually is, but based on my experience online I would not expect much. They probably provide some pretty basic training that will show you how to get everything set up and what you have to do, but that’s probably about it. It seemed like a scam when I first landed on the video presentation and after reviewing it more it still seems like a scam, for the most part anyhow. It sounds too good to be true, we have no idea who this “Daniel Green” character is, there is absolutely no proof of the money he claims to have made, the testimonials shown are fake, and so on. This definitely does not sound like something I would buy into and I am not going to be recommending it to my readers. If you want a legitimate way to make good money online, I would highly suggest taking a look at how I went from $0 to over $6000 a month online working for myself. 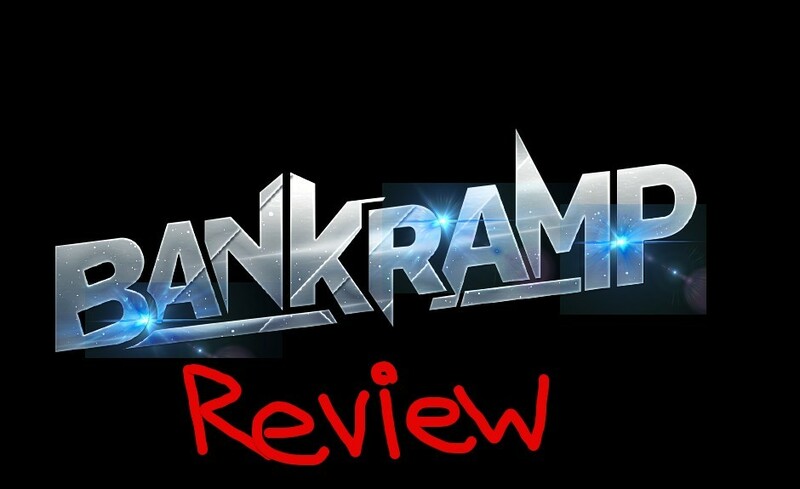 Bank Ramp Review – Scam by Jamie Lewis or $200 a Day? Bank Ramp is a new training program by Jamie Lewis that you can supposedly make an easy $200 a day with or more. But… Is it really? Or is this possibly just another online scam that is going to be a ripoff? The reason I’m guessing you came across this video is because it is definitely over-hyped and just makes it all seem a little bit too good to be true. And as we all know, if something sounds too good to be true then it probably is. This statement is particularly true when it comes to “make money online” programs/systems because there are a heck of a lot of scams out there when it comes to these sorts of things. In the video Jamie Lewis is driving around in a sports car talking about how great his new program is. He claims that you can convert one dollar into $8 every couple minutes and that this is one of the latest “Internet hacks” he is revealing to his students. At one point he is showing all the income he is making on his phone and seems to take both hands off of the steering wheel. I just thought it was strange because you could still see that the car was moving by looking out the window yet he had both hands on his phone. Maybe the camera guy was steering or something?? Who knows. But anyways, that doesn’t matter too much. Jamie, who is famous for really throwing over-the-top sales pitches at you, describes his new system like this: “we’re talking just 15 minutes to set up, active, and then BOOOM… results”. Really…? It just takes 15 minutes to set up and then BOOOOMMMM… Just like that? He even makes it sound more simple when he says that it requires almost no learning and that it is “almost comedic” how simple it is. And that “by the end of this video you are going to be selling like your account is a machine gun”. LOL. As you already know, Bank Ramp is the creation of Jamie Lewis, which he describes as the simplest and most direct method for anyone to make an income online. However, as I just mentioned above Jamie is famous for over-hyping products and making them sound a lot better than they really are. He’s always pumping out new products and it seems that he is much more focused on pumping them out fast and making himself as much money as possible rather than really delivering good quality programs. Some other products of his I recently reviewed include Wealthy Agency and Profit Injector. This program in particular is focused on drop shipping. Dropshipping is when you sell physical products online via e-commerce but never actually have to deal with inventory or anything like that. Basically what you do is set up an online store and load it up with products. Then you send traffic to your store and when someone purchases products and pays you, you then purchase the product directly from the manufacturer and have it sent directly to the customer. It may sound a bit complicated but it is actually a decent online business model that I have had experience with in the past, as I will go over in a little bit. But again, it definitely isn’t as easy as Jamie makes it seem. The core of this program consists of video tutorials that cover the basics of dropshipping and get into more detail on different types of drop shipping, advertising, etc. Things covered in the tutorials include the basics, Shopify, eBay, advertising on Instagram, etc. Some of the training videos are made by a guy named Matt. I’m not completely sure who this guy is but he claims to have been making a ton of money dropshipping and it does seem he knows what he is doing. In addition to the training you also get access to suppliers and resources, which really isn’t much because finding dropshipping suppliers is super easy in the first place. I want to specifically talk about this feature because I find it really strange. Yes, when you buy into the system get access to a garage sale finder which will locate local garage sales in your area. The idea is that you can find items which you can then resell online at a higher price, making a profit. But why the heck would they include this in a program like Bank Ramp? Reselling items from garage sales is an entirely different ballgame. It’s a hit or miss type of business and definitely something you cannot just run on autopilot, as Jamie describes in the sales video. The upfront cost is only $37, which is an anything bad. However, there are upsells that you will be pushed into as well. The first upsell is for $194 and it is where they will provide you with done-for-you campaigns. Then there is another $174 upsell for additional training. And you cannot forget about advertising costs. With dropshipping you’re going to have to drive traffic to your products. The way to go about this is with paid advertising, which is an easy way to blow through a heck of a lot of money really fast if you don’t know what you are doing… And I’m not so sure that this program is a good place to learn. As you know, making money like this is not nearly as easy as they make it seem. You don’t just set up a system in 15 minutes and then “BOOM” you are making money. That is a load of crap. You have to find the right products, you have to do research into the audience that is interested in whatever type of products you chose and you have to organize campaigns and advertisements that target that audience. It is not a walk in the park and a heck of a lot of people fail at this type of thing, I know from experience. I was involved in dropshipping for a few years and got into it after buying a course for over $2000. It was a much more in-depth course than this BankRamp program provides and even with that I didn’t do all that well. At one point I was making over $100 a day in profit but that did not last long and eventually I gave up, probably having lost a lot more money than I ended up making throughout the course of the couple years I was doing it. And… If you think you are just going to be able to advertise and rake in the money on your first try, think again. You are likely going to have to go through a bit of trial and error beforehand, which means you’re going to need some money you can blow through upfront. Something else that I saw was really misleading in the video presentation was the income screenshots they were showing. Jamie and Matt (the guy in the car with him) were showing all the money that people were making. However, with this business model you have to remember that you aren’t keeping all of the money that comes to you, because of course you have to purchase the products. The customer pays you and then you purchased directly from the manufacturer. That is how it works. I’m not going to call it a scam but I think we all know that it isn’t as good as it seems. Just as I was expecting early on when I saw that it was a product by Jamie Lewis, I was guessing that it was going to be a letdown. As already mentioned, this guy pumps out the products like crazy and they usually aren’t anything all that special. Sure, some people may make some good money from the training they provide, but most people probably aren’t going to. Personally I wouldn’t buy this program and I am not going to be recommending it to my readers. Also, although dropshipping is a legitimate business model where a lot of money can be made, if you are thinking about getting involved in this you need to be aware of the risks. You are not going to hit the nail on the head the first time. That is highly unlikely. You’re probably going to have to blow through a bit of cash in advertising before you find something that works, if at all. I’m just trying to give you realistic expectations here. If you are a beginner looking to make money online and want to get involved in something that is less risky, then I suggest affiliate marketing. It is less complicated and doesn’t require near the cost. You can read my guide here that I put together which goes over exactly how I make a living doing this and how others can get started doing the same. Insider Profit Groups is promoted as being one heck of a good opportunity to make money online, but is it really? 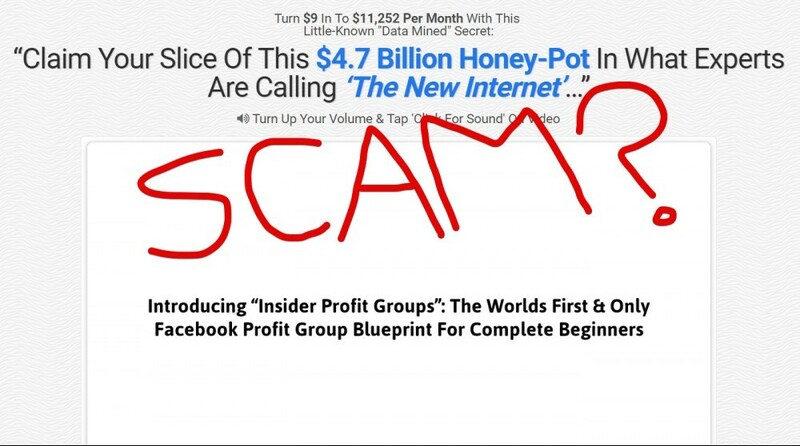 Or will Insider Profit Groups scam you like the many other similar scams out there? I’m guessing you probably came across some email in your inbox talking about this great new money making method, it had a few links and you clicked on one that then led you to the video presentation for this opportunity. You probably thought it sounds a little bit too good to be true, so you decided to do some extra research into it, which then led you to my review here. And it’s a good thing that you took the time to do more research, because this product is not what it seems to be. Yes, it does present a real opportunity to make money online, and money definitely can be made, but is not nearly as easy as you are led to believe and might be a big disappointment. The spokesman in the video talks about how jobs are being slashed all ever, these are extremely hard times, and even how he used to be a baker but ended up losing his job, his home, and really struggling. Then… Of course… He talks about how this is the “biggest opportunity the Internet has ever seen” and how you are going to be able to get in on it here today. This type of statement sounds a bit reminiscent of scams I’ve reviewed in the recent past, such as The Silk Road Effect and The Ecom Freedom Blueprint. This it’s pretty typical fear mongering right here. Yes, these are “hard times” and a lot of jobs are being lost, but is Insider Profit Groups really the solution? Well of course that is what he wants you to believe because he is trying to sell it to you, but it probably isn’t. … But of course there is absolutely no way to prove what he is telling you is true. And besides, this is definitely not some new opportunity that is just now being brought to light. People have been making money via Facebook groups for years. Facebook groups are private communities within Facebook that anyone can create for free. You could create a private group about cats, cool shoes, shooting bows, politics, stopping deforestation, and literally anything you want to. Then, you will be able to monetize these groups by promoting relevant products to them. So for example if you have a group about cats, you can promote cat toys to the group via affiliate links. You will be able to earn money through affiliate marketing. This is when you promote products, other people’s products, and earn commissions when you help make sales. It is a completely legitimate business model and actually one that I have years of experience in. Sounds good… But don’t buy in just yet. You might not want to. He talks a big talk, and acts like if you buy in your going to be able to make “$2563 a day” like he is, but the reality is much different. What you are getting here is not some in-depth video tutorial course that is going to hold your hand through the entire process and really help you get things going. Instead, you will be getting an e-book that outlines the process of how this all works and how you can do it. Yes, an e-book. This is why this product is being sold for only $9. He calls this “the world’s first and only Facebook profit group blueprint for complete beginners”, but this is far from the truth. In fact, while this e-book does provide good information and lays it out for you in an easy-to-follow way, all this information can definitely be found for free online. And I’m sure many people reading this would rather watch a YouTube video explaining the process then read an e-book. This is promoted in a way that is definitely a bit misleading. The guy claims to have stumbled across some “special tool” that big companies in Silicon Valley are using to spy on different methods of making money online, which he then used to come across this method he is teaching in his e-book. He makes it sound as if you came across this method, and then BOOM… Now he’s making thousands of dollars every day. But the reality is much different. This will certainly take time. You can’t just go out and create a bunch of Facebook groups thinking that they are going to grow in immense following overnight. This takes a lot of time and effort. First you have to provide value in your Facebook group. This is what will attract new members and keep them around. You can’t just expect a bunch of people to join your group and then promote product after product, milking them for every penny they have. This does not work out and if you do it you’ll just end up with a bunch of people leaving the group and absolutely no trust. You have to be active within the group and become an authority figure that people trust. This means posting valuable content regularly, answering questions, commenting on things and so on. He somewhat leads you to believe you’re going to be able to get group members with little to no effort and then be able to milk them like cattle, but this is far from the reality. I wouldn’t call the product a scam, because it does provide some value and is only being sold for $9, which I think is fair, but I will definitely say that the marketing around this all is without a doubt misleading. So people who buy into this thinking that they are going to be able to make money in no time are likely going to feel scammed by the whole thing. This guy gives you unrealistic expectations and because of that there’s going to be great disappointment. 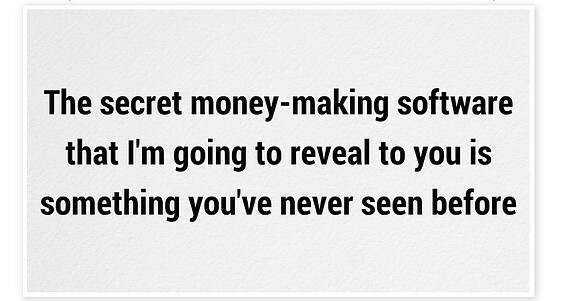 But overall the method of which he is talking about for making money online is completely legitimate. There are definitely some downsides, such as the fact that you have no real control over your group and are completely reliant on Facebook, but it is something that money can be made with online. I actually do affiliate marketing for a living, and have been since 2015. However, I did not do affiliate marketing on Facebook. Rather, I create my own websites which has a lot of perks to it, because of course you have full control over them. I think this method is a lot better because of that and if interested, you can read my guide I wrote here for information on how to do the same. My guide is free by the way. The Silk Road Effect is supposedly “the quickest way to make $1800 every day” online, but of course that is a bunch of BS. No… This is definitely not the quickest way… It is actually a big old SCAM, as I’m sure you are pretty well aware of already. When it comes to “make money online” systems/programs like this, you always have to be really careful with what you get involved in. There is certainly no shortage of online scams out there claiming that you can strike it rich with their “done for you”, “autopilot”, “secret system”. I actually review scams nearly every day on my site here and that sometimes it is difficult just to keep up with all of them. It’s almost like every day is a new scam or two. I actually just exposed The Ecom Freedom Blueprint and Profit 365 recently.. two other scammy programs. But anyways… Yes, The Silk Road Effect pretty much is a scam in my opinion and you will see why I am saying this in my quick review here. So you probably got an email talking about some new system that is going to change your life, that is going to give you financial freedom, and so on. Well… Because that is how most of the scammy systems are promoted. 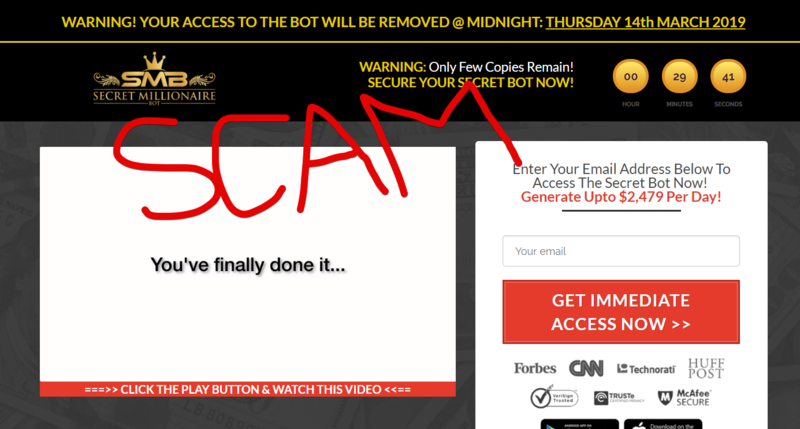 Then there was probably a link in the email that you clicked and were redirected to the incredibly scammy sales video. The guy tells you that you can become a millionaire in 12 months by using “ancient secrets” and then talks about being able to buy an item for $5 and sell it for $100, which would be a darn nice profit. Now as I’ve said, I’ve reviewed a heck of a lot of scams online. However, I will say that I don’t think I have ever reviewed a scam promoted in this sort of manner. I’ve never heard of some sort of “ancient secret” to becoming a millionaire. But I guess I have heard a lot of crazy things over the years so this is nothing too surprising. Apparently this video contains “highly sensitive information” that “has been held back from you for centuries by the western world”. And you are not supposed to know this. But… That is all just a bunch of BS. The spokesperson is just trying to make this opportunity seem better than it really is and trying to act like you stumbled upon the holy Grail. One thing they should definitely know is that a bank account screenshot like this proves absolutely nothing. It can be easily photoshopped and I for one definitely did not trust what he is showing. 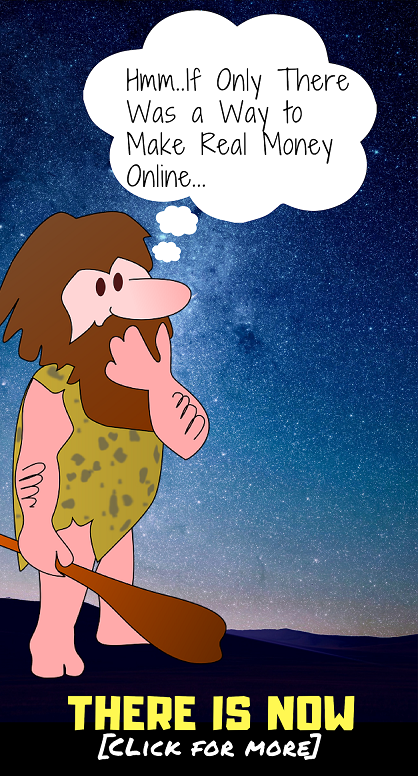 This “ancient secret” is all about what is called drop shipping. This is when you sell items online through your own e-commerce store but never actually hold any inventory or deal with the products directly. Basically how it works is you set up a e-commerce store with a bunch of products and when people come to your store and purchased the products, you then go directly to the manufacturer and purchase them, having them sent directly to the customer. All of this is done online. Belive it or not… Although it might seem that everything that comes out of the spokesperson’s mouth is a bunch of BS, this is actually a legitimate business model. In fact, I had my own e-commerce store and was drop shipping for around 2 years at one point. HOWEVER… As you can imagine… This is NOT nearly as easy as he leads you to believe it is. If it was then I would still be doing it and I would have all my friends and family doing the same, making boatloads of money. 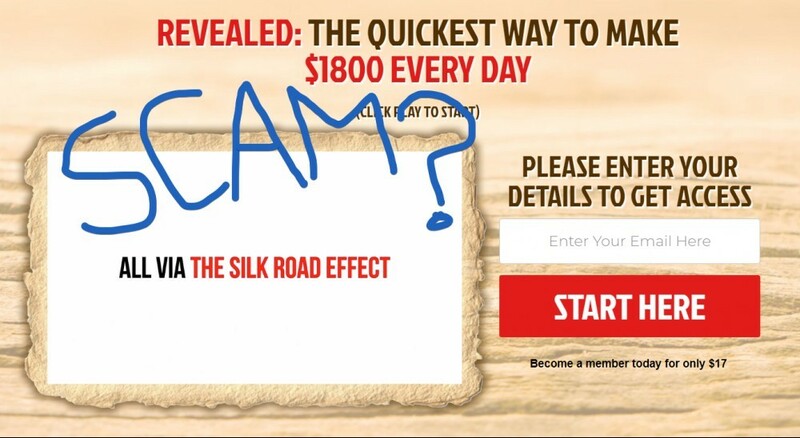 This “The Silk Road Effect” system is being sold on the ClickBank marketplace. Clickbank is well known to have a lot of very scammy products listed, and what is also known for is upsells. Sure enough, after you purchase the system for $17, you are then pushed into an upsell that you are going to “need”. This is a load of crap because when you originally buy into this you think that you are getting all you need. But that isn’t true and they do not tell you this. This is all very scammy and not the type of system I would really want to trust. Do you consider systems that are promoted in extremely misleading ways to be scams? If so, then yes this is a scam. However, whether or not it is depends on what your definition of a scam is. When you buy into this you do get training on setting up an e-commerce store and drop shipping. So you do get some value for the money you pay. However, it is just nothing like you are led to believe in the first place and will just be something that you are highly disappointed in. There is absolutely no way that I’m going to be recommending this system to my readers. Not only do I think it is going to be largely a waste of time, and likely just lead you down the wrong path having you waste your effort on something that isn’t going to work out well, but there are also other reasons why this sort of online business model might not be the best way for beginners to get started. Doing e-commerce via drop shipping can be profitable and is a legitimate business model, as I said, but it also can be fairly risky due to the fact that you’re going to have to run paid advertisements, which include things like Facebook ads, Bing ads, etc. This can get expensive. If you are just a beginner looking to for a legitimate way to make money online then I highly suggest that you take a look at how I went from $0 to over $6000 a month doing so. What I do is beginner friendly and all in all is a great way for beginners to get started. 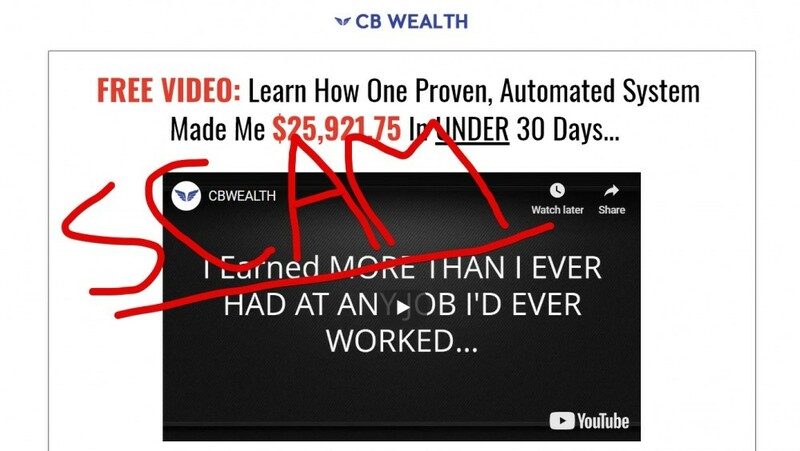 The guy claims that his new system called CB Wealth can earn you $25,921.75 in the next 30 days with no experience needed, but is this really true? OF COURSE NOT! It’s a SCAM! You are told that you are invited to check out the system by one of his “close personal friends” and were told not to share this with anyone. He goes on to tell you that this is a “done for you system” that doesn’t require any experience and even goes as far where he “guarantees” that this will be the most important video you see this year. But of course, as I already said, it is all a bunch of crap. This is just another scam. In this short review I will go over the lies you are told, how this system supposedly makes you money, what you actually get if you buy into it and so on. You will see why I am calling it a scam. Like most scams online, you are supposed to believe that the creator is sharing this new system with you out of the kindness of his heart. What a nice guy right? The video presentation is basically just a bunch of rambling on and on about all the money you can make with this system. The guy talks about all these people making tons of money with the system, like Kevin who supposedly made over $9000 last week and is only a 21-year-old college student, and Julie who was a single mother living in the UK who just got paid $12,317. But… As you probably already assumed… These are all lies. Or I guess I should just say that I am assuming they are lies because there is absolutely no proof whatsoever that they are true, and judging by everything else I see here it makes sense that they would just be lies like much of the other stuff he tells you. As stated, at the beginning of the video presentation he tells you you are invited by a close personal friend of his. 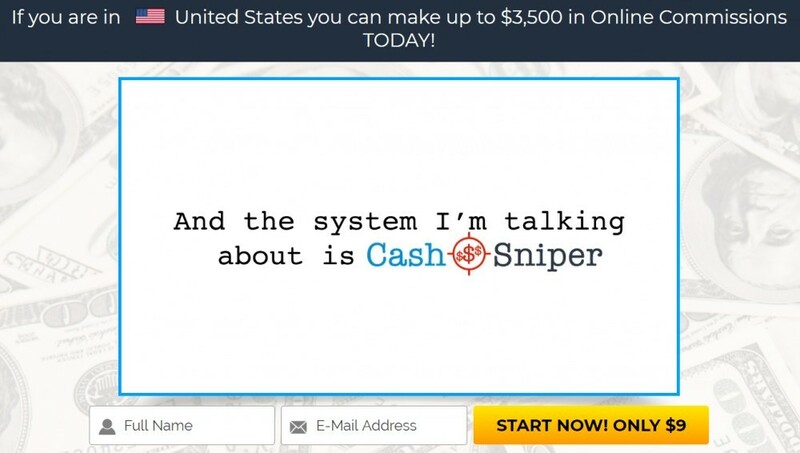 This is a lie and that the truth is that you probably received some spammy looking email about some new “make money online system” or something like that and decided to click on one of the links inside. This was not sent by a close friend it was sent by someone trying to make money by suckering people into this BS. This isn’t important but it kind of ticked me off so I thought I’d talk about anyhow. You are told that the video is 4 minutes and 45 seconds long but then it drags on for a massive 15 minutes, or around that long. This definitely does not add to it being a scam, but it sure is annoying. And then there is the part where he “guarantees” that the video is the most important thing you will ever watch this year… But in my opinion it is actually the least important. Since one is getting scammed a good thing? Oh, that’s right, this guy is acting like this system is actually legitimate. And as mentioned there is no proof of any of the earnings that he mentions people making. It’s more than likely a lie. Just like pretty much every other scam out there, there is no information provided on how the system is actually going to make you money. We have absolutely no idea because the video presentation is filled with a bunch of fluff about making tons of money… But the guy totally forgets to talk about how this is even going to happen in the 1st place. Are you going to be affiliate marketing, blogging, doing ecommerce??? Who knows! This is very typical of an online scam. Of course they want you to buy into their scam before actually finding out how crappy it really is. Would a legitimate system completely avoid mentioning anything to do with how it works? I certainly would not think so. The reason they are keeping this hidden is because they know if they would talk about it would be even easier to identify is a scam. This reminds me a lot of the Easy Cash Club and Cash Formula by Michael Green scam I exposed recently. Now I didn’t actually buy into this system, so I don’t have any good idea of what you are going to end up getting once you do buy in. HOWEVER, I have reviewed quite a few scams that are very similar in nature to this one you have a good idea of what is going to happen. My best guess is that you will probably be provided with some very poor quality and likely outdated training on some method for making money online… Which will likely just end up causing worse problems than if they were to just take your money and run… Reason being because you are going to end up wasting your time on something that is not going to work out. These are all pretty typical of online scams and if you come across anything like this it is best to proceed with caution. As the saying goes “if it sounds too good to be true then it probably is”. This is a pretty good saying to keep in the back of your mind and it will help you avoid a lot of scams in the future. If you want a personal recommendation from me on how to make money online, which I actually do a full-time, then I would highly suggest reading THIS POST that will explain exactly what I do and show you how to get started.